Welcome to my website and blog. 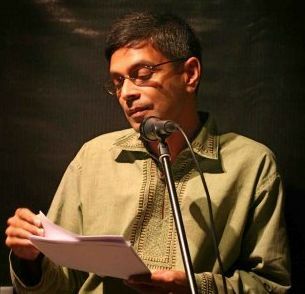 I write fiction and nonfiction, and I also translate Bangla fiction into English. My third book is a novel The Fiction Factory. I’m currently seeking publication. Personal essay on my lifelong journey with languages, starting with speaking Bangal Bangla, ending up with writing in English, translating from Bangla fiction. Published in the Nomad issue of Papercuts magazine, December 2018. Crossing Borders, Mapping Tongues There was, however, no getting away from one truth: While I was able to code-switch, my writing language, my language of complexity, had become English a long time ago. This wasn’t simply because I had lived most of my adult life abroad. That story began five decades earlier, within a few years of being born in East Bengal — in fact, just a few years after the British had departed. Personal essay launching “The Golden Door” series at Brooklyn Magazine on the road to me becoming a U.S. immigrant (March 6, 2017). The Golden Door: You Become an Immigrant You arrived on refugee papers but no longer a refugee. You came as a foreign student, with the intention of returning. With time, you become an immigrant. Article published in the Dhaka Tribune, reprinted at Scroll.In on amnesia in Bangladesh towards Partition (August 2017). Article published in the Dhaka Tribune, reprinted at Scroll.In on a new law being proposed in Bangladesh. In Bangladesh, writing fiction about the liberation war may well become impossible Bangladesh is about to pass a law making it illegal to ‘misrepresent’ the liberation war of 1971. Will all writers have to tell the same story now? Down a Slippery Road: Increasing Religious Persecution in Bangladesh There are mobs that can easily be whipped up. There is the state with its colonial-era law on offending religious sensibilities. And now here come the machete-wielding self-appointed Islamist executioners. Bangladesh: Fighting for free expression in an age of death squads. How can free thought, science, and humanism in Bangladesh best be defended? What should you do when you know that the state cannot protect you? Bangladesh: Where ‘blogger’ has become a word worthy of death. In the drive to squelch expression, the institutions of the state themselves are failing society as the societal consensus on the importance of free speech weakens. Why are so few South Asian translations published in the U.S.? On the Press page, you will find links to reviews of my books, as well as news, profiles, and interviews. Under Short stories, you can read a few of my published short stories that are not in my book. The Nonfiction page includes links to essays, memoir, and book reviews. In some articles, I combine personal narratives with reflections on the history of Dhaka and Bangladesh. The Translation page also carries links to translations I have done of other stories from Bangla. These days my Weblog mainly carries links to articles published elsewhere. When I started it in 2005, I meant to post random jottings on life in this “cruel, crazy, beautiful world” — the title of a lovely song from Johnny Clegg and Savuka. It was right after Hurricane Katrina hit the Gulf Coast in the U.S. and I started out commenting on hurricanes and troubled waters. I continued later articles on writing and books, culture and society, and what I noticed on my travels. Drop me a line. I would love to hear from you.